Zincochromite: Mineral information, data and localities. 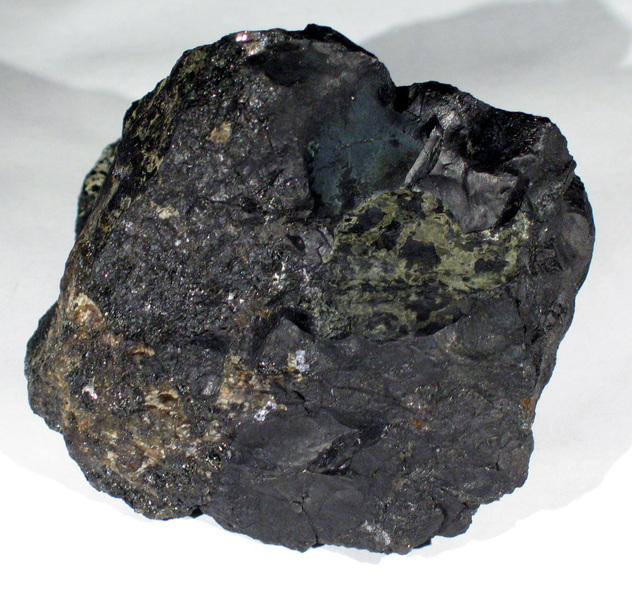 Named as the zinc analogue of Chromite. Spinel Group. The zinc analogue of Chromite. Clausthalite 1 photo of Zincochromite associated with Clausthalite on mindat.org. Roscoelite 1 photo of Zincochromite associated with Roscoelite on mindat.org. Chromceladonite 1 photo of Zincochromite associated with Chromceladonite on mindat.org. 7.14.6 Mathiasite (K, Ba, Sr)(Zr, Fe)(Mg,Fe)2 (Ti,Cr,Fe)18O38 Trig. Nesterov, A.R., Rumyantseva, Y.V. (1987): Zincochromite ZnCr2O4 - a new mineral from Karelia. Zapiski Vsesoyuznogo Mineralogicheskogo Obshchestva 116, 367-371. O'Neill, H.S.C., Dollase, W.A. (1994): Crystal structures and cation distributions in simple spinels from powder XRD structural refinements: MgCr2O4, ZnCr2O4, Fe3O4 and the temperature dependence of the cation distribution in ZnAl2O4. Phys. Chem. Minerals 20, 541–555. Levy, D., Diella, V., Pavese, A., Dapiaggi, M., Sani, A. 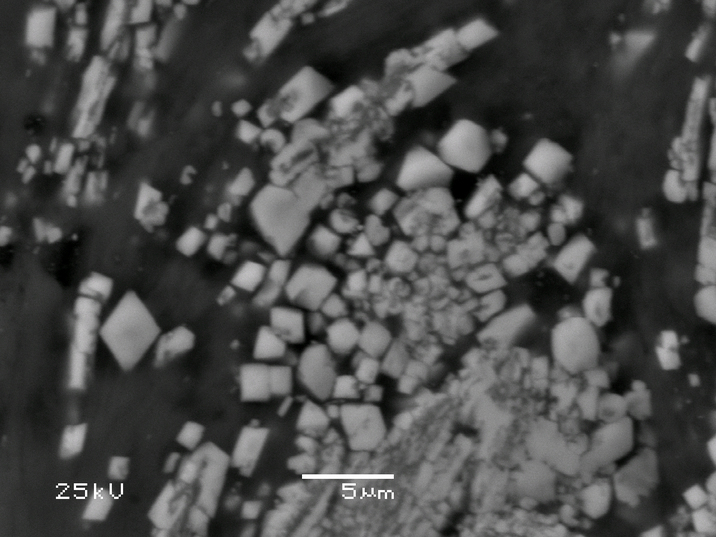 (2005): P-V equation of state, thermal expansion, and P-T stability of synthetic zincochromite (ZnCr2O4 spinel). American Mineralogist 90, 1157-1162. Johan, Z., Ohnenstetter, D. (2010): Zincochromite from the Guaniamo River diamondiferous placers, Venezuela: Evidence of its metasomatic origin. Canadian Mineralogist 48, 361-374. Johan, Z., Ohnenstetter, D. (2010): Zincochromite from the Guaniamo River diamondiferous placers, Venezuela: Evidence of its metasomatic origin. Canadian Mineralogist 48, 361-374 (p. 363); www.minerals.nsw.gov.au/minfo/62_elinforc.html. Kolitsch, U. & Auer, C. (2018): 2080) Annabergit, Aragonit, Arseniosiderit(? ), Chalkopyrit, Galenit, Hörnesit, ein Mineral der Kaolinitgruppe, Limonit, Polybasit, Polydymit, Pyrrhotin, Scheelit, Zn-Tetraedrit, Vaesit, Violarit und Zincochromit von der Brennkogel-Nordflanke, Fuschertal, Hohe Tauern, Salzburg. Pp. 216-218 in Walter, F. et al. (2018): Neue Mineralfunde aus Österreich LXVII. Carinthia II, 208./128., 185-254. Ermolaeva, V. N., Chukanov, N. V., Jančev, S., & Van, K. V. (2017). 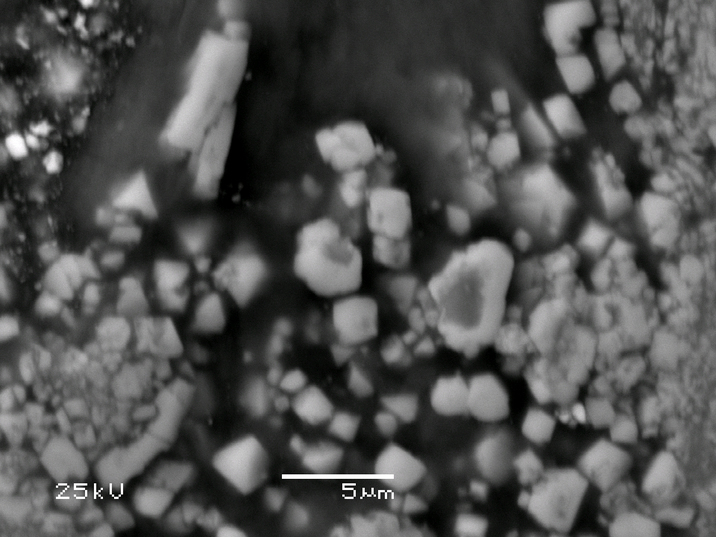 Parageneses of Oxygen-bearing Minerals with Chalcophile Elements in Metasomatites of the Pelagonian Massif, Macedonia. In Magmatism of the Earth and related strategic metal deposits (pp. 62-66). Chukanov, N.V., Krzhizhanovskaya, M.G., Jančev, S., Pekov, I.V., Varlamov, D.A., Göttlicher, J., Rusakov, V.S., Polekhovsky, Y.S., Chervonnyi, A.D., Ermolaeva, V.N. (2018): Zincovelesite-6N6S, Zn3(Fe3+,Mn3+,Al,Ti)8O15(OH), a new högbomite-supergroup mineral from Jacupica mountains, Republic of Macedonia. Mineralogy and Petrology, 112, 733–742. Zdenek, J., Ohnenstetter, D. (2010) Zincochromite from the Guaniamo River diamondiferous placers, Venezuela: evidence of its metasomatic origin. The Canadian Mineralogist, 48:2, 361-374.